What is The Bitove Family Entrepreneurship Program? Macedonia2025 in cooperation with CESO will offer its services to Macedonian MSMEs. 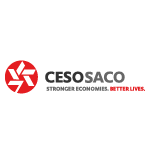 CESO (Canadian Executive Service Organization) is a leading non- profit economic development organization with nearly 50 years of experience, dedicated to sustainably reducing poverty and fostering economic growth in Canada and globally. The Advisors are senior-level professionals from across sectors and industries. They are passionate about sharing the wealth of knowledge and expertise they’ve accumulated over their careers in meaningful ways. CESO’s Advisors will assist small entrepreneurs/MSMEs to improve their business operations by providing skills development, training, coaching, mentoring and related best practices, business tools, processes and systems. Macedonia2025 provides a grant valued at 5000 USD, a grant that completely covers the Advisors’ fee and transport to Macedonia. It is up to the selected companies to cover the Advisors’ accommodation, meals and local transport. • Preferably work in the following industries: IT, agribusiness, alternative energy, tourism; hospitality, manufacturing &amp; food processing.